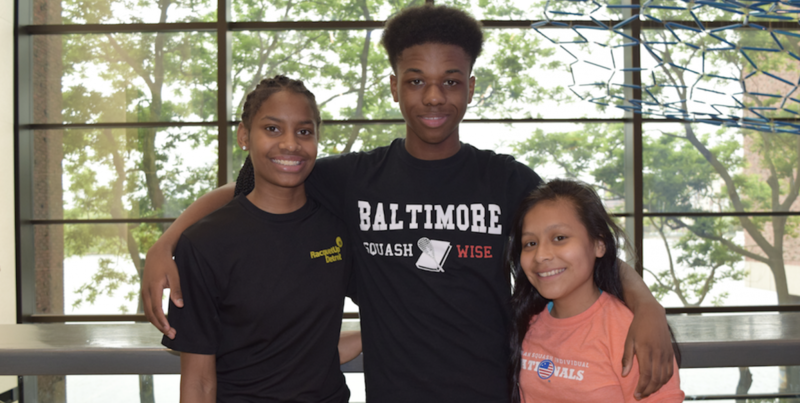 The mission of the Squash Excellence Project is to give top-level training and competitive opportunities to up to 30 of the most promising squash players from our national network. The short term aim is to enable these players to earn rankings in the top 30 in the country. Long term, the Squash Excellence Project aims to produce top-10 nationally ranked players and eventually a National Championship. From the more than 2,000 players in our network, SEA selects up to 30 to participate in its High Performance Team. Selections are made based on national rankings, work ethic and athletic potential. The Squash Excellence Project has three key components. • Private Instruction: Students receive top-flight coaching from an SEA selected pro. • Intensive Training Camps: Several times a year students convene for 4-day training camps around the country. • Tournament Access: Students travel to tournaments, where SEA provides the supervision and coaching, while in other cases it is provided by member program staff.